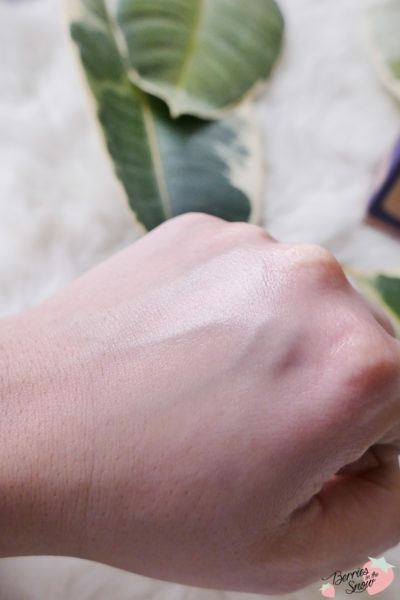 Klairs is a Korean brand which is eco-friendly, producing products which are animal-testing-free, alcohol-free, paraben-free, artificial-color-free and recently they are vegan, too. Their products address people with sensitive skin and people who want to moisturize their skin. 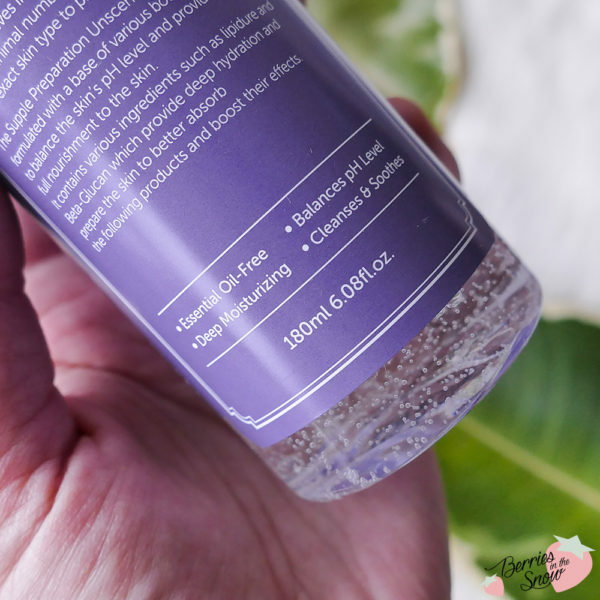 I reviewed some of their products before, like the Klairs Freshly Juiced Vitamin C Serum (repurchased that one 4 times already!) or the Klairs Midnight Blue Cream, which both convinced me in their effects. Their saying “Simple but Enough” really nails it and I think that many people will agree in that point with me. The Klairs Supple Preparation Toner is your first step to a moisturized and rejuvenated skin every day. It is non-irritant, balances the pH level of the skin, and acts calming and soothing. As all toners, this toner is designed to be used directly after cleansing the skin. It gives it first hydration and helps the skin to be prepared for the following skincare steps. 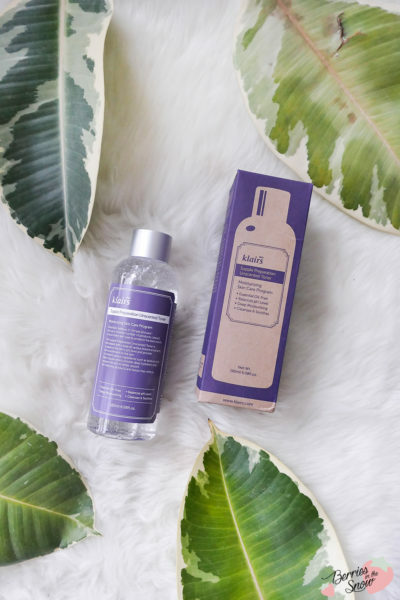 The Klairs Supple Preparation Toner in both the regular version, and the unscented version, comes in a plastic bottle containing 180ml. The bottle is supposed to last for 1-2 month according to the description. The only difference between the regular version and the unscented version is that the unscented version has all the essential oils removed from the ingredients. These essential oils give the regular version its signature scent, but there are people with sensitive skin types that react to the present of essential oils in skincare. The colors of the bottles and packaging are also different: the unscented version has a clear bottle with a purple label whereas the regular version comes in a brown colored bottle with beige label. 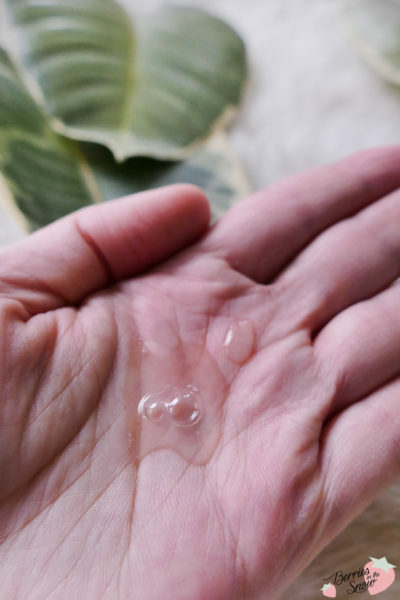 You can spot some known plant-based ingredients like licorice root extract (brightening and acne fighting), centella asiatica and panthenol (wound-healing), but also hyaluronic acid (moisture), and aloe extract (soothing). You can check the ingredients via Skincarisma. The toner has a clear toner and has a jelly like formula, which is less runny than water. It tends to absorb very quickly and leaves the impression of the skin ‘drinking’ the product. Despite absorbing quickly it leaves a nice and moist glow on the skin, but is not feeling sticky! 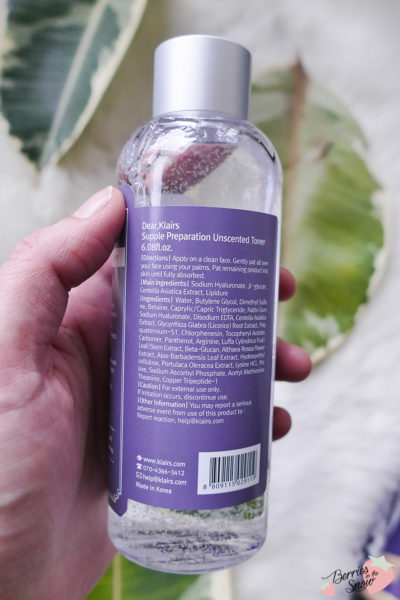 I can still confirm that I love the Klairs Supple Preparation Facial Toner and I love how this unscented version of it also gives sensitive skintype people a chance to try this wonderful product by leaving out the essential oils. 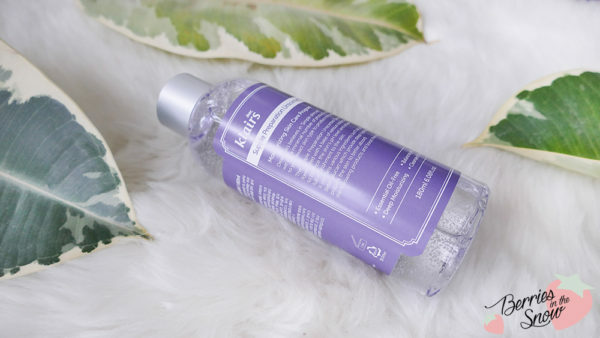 If you have not tried this toner yet I can totally recommend you to do so in future, especially if you are a Kbeauty lover. You can buy the Klairs Supple Preparation Facial Toner in the regular and unscented version from Wishtrend for 21.99 US$. Also check out my page for Coupons and Discount, so safe some bucks o your order. 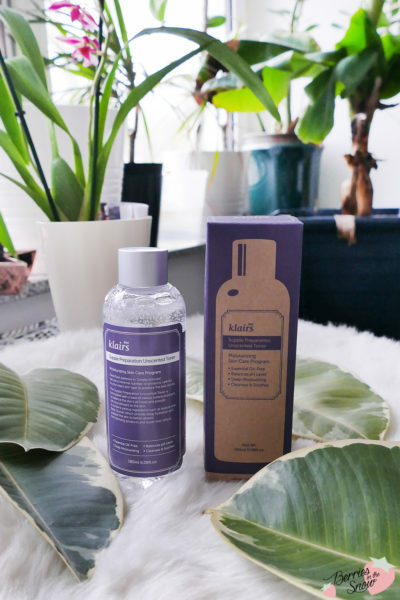 I also have reviewed so many other products from the brand Klairs and I can say that this is one of my favourite Kbeauty brands with great products. Check out all my Klairs reviews >>here<<. 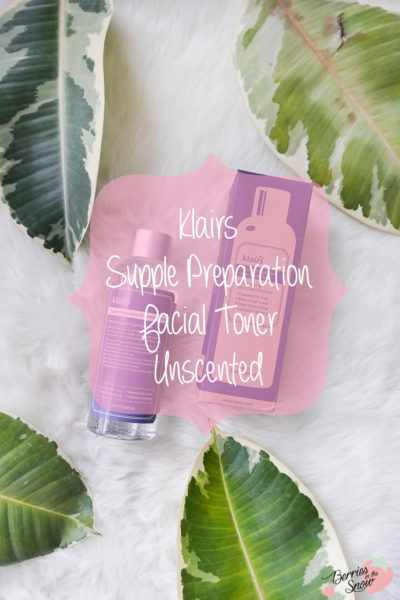 Have you tried the Klairs Supple Preparation Facial Toner? What are your favourite toners? Just as a short reminder: All products mentioned and reviewed on this blog are of my personal opinions. This product here was sent to me for reviewing purpose by http://www.wishtrend.com/ which doesn’t influence me in providing my honest opinion on the products. The Whamisa Organic Flowers Deep Rich Toner is one of my favorites as well. I’ve heard good things about the original version of the Klairs Supple Preparation Facial Toner but I haven’t had a chance to try it yet. it’s nice that they came out with an unscented version for those who have a sensitivity to essential oils.